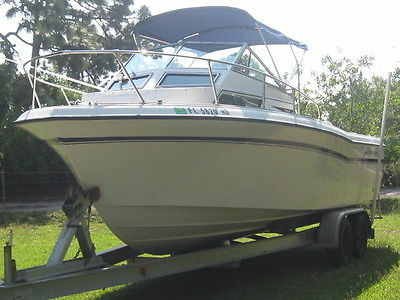 1988 Grady-White Offshore 24 Reduced! Made for fishing. 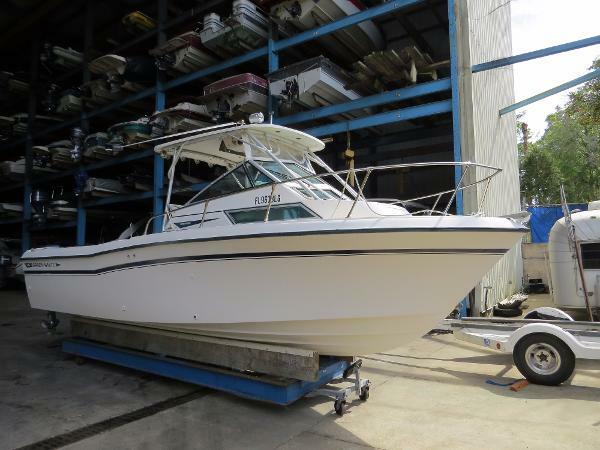 Re-powered in 1997 with 2 Yamaha Saltwater Series II 150 HP engines with 280 hours. The cuddy cabin sleeps two and has a walk around profile on the deck. The hard top includes forward and side new Isenglass enclosure. 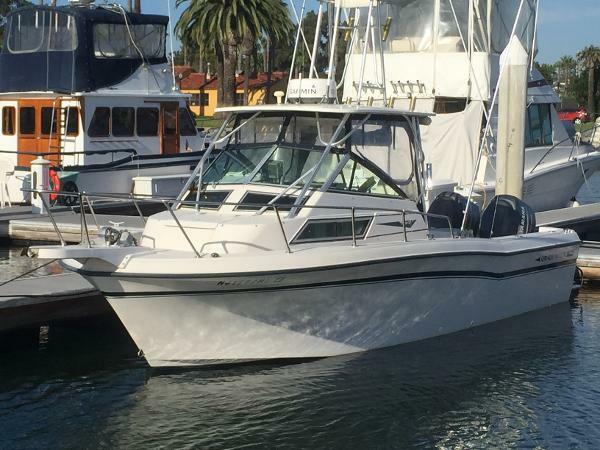 There is a live well, 2012 Lowrance GPS, depth sounder, trim tabs and plenty of storage. 2013 Aluminum Road King trailer only used in fresh water, fuel tank renewed in 2012, 2016 batteries, 2012 Asking $14,900. Serious offers will receive serious consideration. 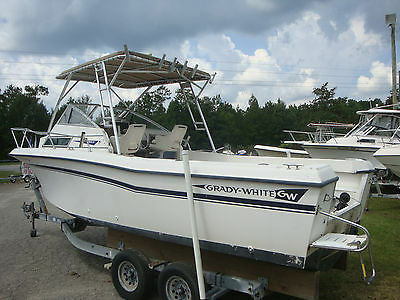 Real nice 1990 Grady White offshore 24 foot cabin boat with a lot of room for fishing or diving or just having fun with your family. 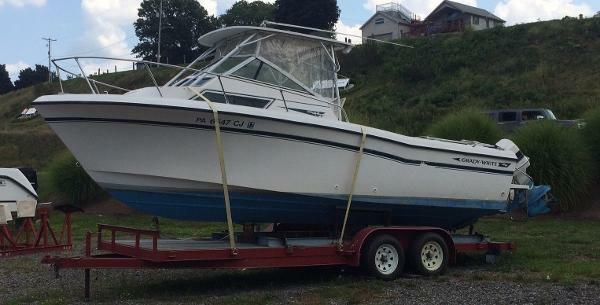 This boat runs and handles great with trim tabs and Sea Star hydraulic steering. It has two batteries with a switch to shut all power off. There is storage everywhere and nice cushions in the cabin. Also has built in tackle boxes. It is powered by a 2001 Yamaha 225 hp OX66 fuel injected motor that runs and operates as it should. 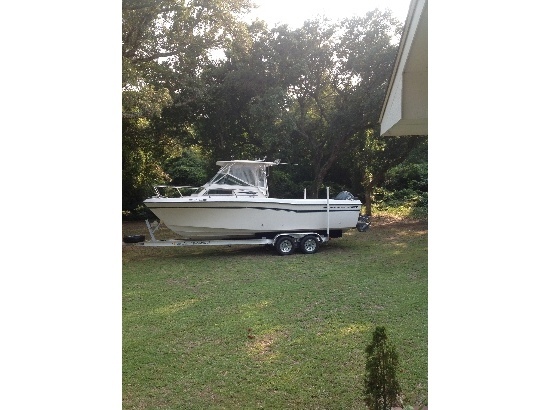 Included also is a stero, marine VHF radio, Furuno GPS, and Furuno fish finder. The trailer is a 2001 Aluminator with newer torsion bar axles and newer wheels and tires. Trailer is in outstanding shape and is ready to go anywhere. Reasonable delivery is possible. Thank you. 321 368 0800.